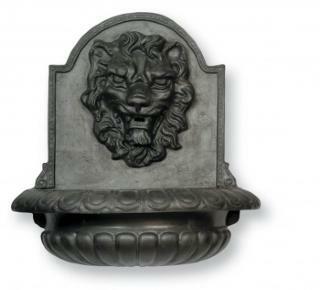 The Great Lion Bowl fountain is a statement piece which will create a centre point in any garden or conservatory. The powerful design has water gushing from the lion's mouth. It is made of lightweight fibreglass and is therefore easy to hang on any inside or outside wall. The fountain is available in various finishes such as Bronze, Faux Lead and Terracotta.